We are a Electrical and Automation Company that designs and installs custom services for both residential and commercial properties. Through integrating electrical and electronic functions one can take control of any environment such as: audio and video, lighting and shading, climate and spa, security and monitoring. Our goal is to offer total customer satisfaction by not only meeting the expected, but also exceeding it by providing superior service and trust, product quality, price, and management efforts. In doing so, we hope to gain a competitive edge by introducing innovative products and solutions. Our main aspiration is to leave a fully satisfied customer who will be eager to continue doing business with us. Steve Martin Electric, Inc. is a full-service electrical contractor for both residential and commercial projects throughout the Chicagoland area. Our goal is to provide excellent customer service and a finished product that surpasses your expectations in quality, function and reliability. We are licensed, bonded and insured. We provide complete residential and commercial electrical services during new construction, home addition or remodeling. We offer FREE ESTIMATES and 1 year guarantee on the workmanship. We are accredited by BBB with A+ Rating. We offer the highest quality electrical services to exceed our customers’ satisfaction for reasonable price. Licensed, Bonded, and Insured - Residential and Commercial Electrical Contractors & Electricians Gatto Electric, Inc. serves the Chicagoland area and NW Suburbs. We specialize in residential and commercial electrical service work. 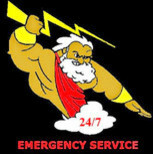 We offer free estimates and 24/7 emergency services. Our goal is to satisfy our new and existing customers with clean, efficient, and fair priced electrical service work. We work with homeowners, business owners, tenants, property managers, escrow companies, real estate agents, and government entities. Whatever your project or electrical needs are, large or small, you can be confident that Gatto Electric, Inc. will perform to your satisfaction and treat you fairly and respectfully. Prolite Electric Services, Inc. is fully licensed and insured and stands behind their work. Finding a dependable electrician that is both licensed and properly insured can be a tiring task, especially when you have a busy schedule, or if you’d rather do something much more interesting. Well it's time for a break, because your search is finally over. Welcome to the online home of Prolite Electric, specializing in electrical installation and repair. Jack Stark the owner of the company received his training through a four year apprenticeship program with I.B.E.W. Local #134 in Chicago. Along with his formal training Jack has broadened his knowledge base and gained invaluable experience through his 30 plus years of practical field work. 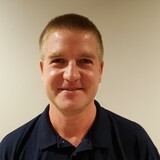 Jack has experience in a wide variety of electrical work in residential, commercial and industrial applications. We have the professionalism to work in any residential or commercial environment, and our entire staff is committed to bringing you the best service our expertise has to offer. We’re waiting to help you in any way we can, so pick up the phone and call us today! OneStop Pro has been serving DuPage County and the Greater Chicagoland area since 2007. Our mission from the start has been the complete and total satisfaction of the people for which we work, as well as providing the most professional and cost-effective solutions for all of our projects. OneStop Pro is a full service HVAC and electrical contractor. We bring our combined talents to your home or business to answer any and all challenges that may confront you. Our motto, Surpassing Expectations, is our promise to you. 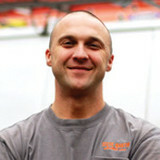 Dan Foss has 12 years in the construction industry, is a licensed Chicago electrician and EPA certified for HVAC. Robert Fraser brings 30 years of construction experience, and is the company sales manager. 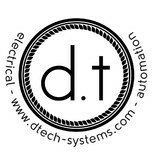 electrical contractor for residential, commercial, and industrial. We are third generation electrical contractors. 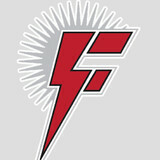 Our family business has been providing quality electric service in the area for over fifty-five years. We are a small, yet experienced, company that can be flexible to your scheduling needs and sensitive to your requests. We work closely with our general contractors and customers to keep our work accurate and on schedule for maximum customer satisfaction. Oakwood Electric & Generator takes pride in our ability to provide excellent electrical work at an affordable price. We have been doing electrical work on custom homes for general contractors in Western Springs, Clarendon Hills, Hinsdale, Riverside, Downers Grove and LaGrange and are confident that we can satisfy all of your electrical needs. In fact, one of the homes we completed was featured on “Dream House” on HGTV. Oakwood Electric & Generator Electricians are extremely skilled in electrical remodeling and finding solutions to your electrical problems. We are experienced in indoor and outdoor lighting design. We also offer 12 months same as cash financing on all Generac Generator projects. InTown Electric, Inc. has experience serving the North Shore and Northwest suburbs of Chicago for over 20 years. We are a hands-on company that will help you from design to installation of your project. We work with homeowners, designers, architects, general contractors and building engineering. We are who you need for any residential, commercial or industrial need. InTown Electric proudly stands by our work because we use only quality materials – that's why we warranty all materials we purchase for one year. We're a Better Business Bureau member in good standing and are free of complaints. We also earned the BBB Complaint Free Award for 2007. Check out our Customer Reviews section to hear what some of our customers think. InTown Electric is here to help and committed to not only maintaining strong customer relationships, but to building new partnerships in the future. We look forward to doing business with you. Residential and commercial electrical contractor. Our goal is to satisfy our new and existing customers with clean, efficient, and fair priced electrical service work. We work with homeowners, business owners, tenants, property managers, escrow companies, real estate agents, and government entities. What do licensed Libertyville electricians do? An electrical contractor plans, installs and repairs wiring in structures. He or she works closely with the home’s general contractor or remodeling contractor to determine the specific electrical needs for the project and to ensure that the wiring will meet Libertyville, IL building codes. An electrical contractor’s job also includes installing and repairing fixtures, switches and other visible components of electrical systems. With today’s technological needs and advances, many electricians in Libertyville, IL also are trained to install fiber optic and coaxial cables for electronic equipment. Certain electrical companies may design and install data systems and wire for security features such as alarms too. Some Libertyville electrical contractors specialize in specific areas, such as HVAC, low-voltage appliances and systems and more, so be sure to ask about their training to see if it fits your project needs. Find a certified Libertyville electrician on Houzz. Narrow your search in the Professionals section of the website to Libertyville, IL electrical contractors. Here are some related professionals and vendors to complement the work of electricians: Lighting Showrooms & Sales, General Contractors, Solar Energy Contractors, Heating & Cooling Sales & Repair.